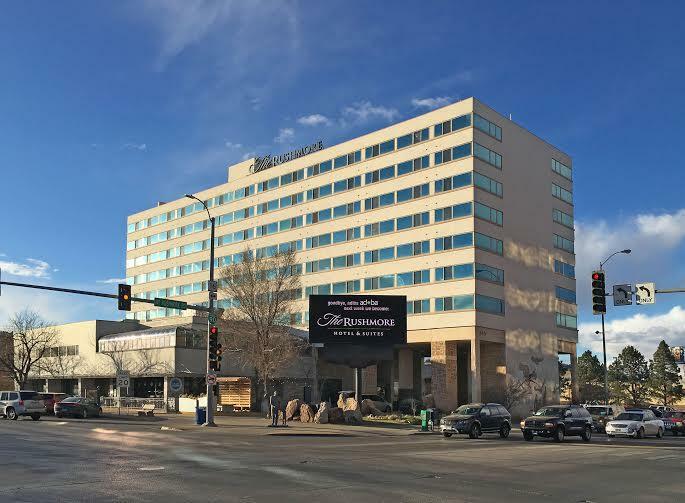 We have reserved a block of 30 rooms at a reduced rate at The Rusmore Hotel and Suites in downtown Rapid City. It is a 1.5 mile walk or drive to the conference location on campus. Call (605) 348-8300 for reservations. To reserve rooms at the conference rate, reference the “Conference on Science at the Sanford Underground Research Facility". For online booking, use group code 11456. The price per night for the reserved rooms is $84/night plus tax. Employees of the State of South Dakota (with ID) may reserve up to 20 rooms at the State rate of $55/night (payment must be made by direct billing or state-issued credit card). The Rushmore provides complimentary shuttle service to and from the airport, and there will be shuttles to and from campus for the conference, so rental cars will be unnecessary. Numerous good restaurants are within walking distance of the Rushmore. To ensure receiving the conference rate, please reserve your room by April 20, 2019 (extended deadline). Additional accommodations are available on the SDSM&T campus. A standard dorm room with 2 twin beds and bathroom down the hall may be booked for $40/night. All rooms are air conditioned and include linens. To ensure your reservation, please contact the organizers by April 1, 2019. Ample free parking is available on campus at this time of year.